With the integration of a video feature, Instagram is now competing with Twitter's Vine application and increasing the possibilities for creative expression for its users. The new service allows you to capture, edit, download and share videos up to 15 seconds, more than double the six seconds allocated by Vine. Many hotels, airlines, and destinations choose the platform to develop the visual content associated with their brand, forge links with their community, or to ensure that they are present to customers aged 18 to 34. 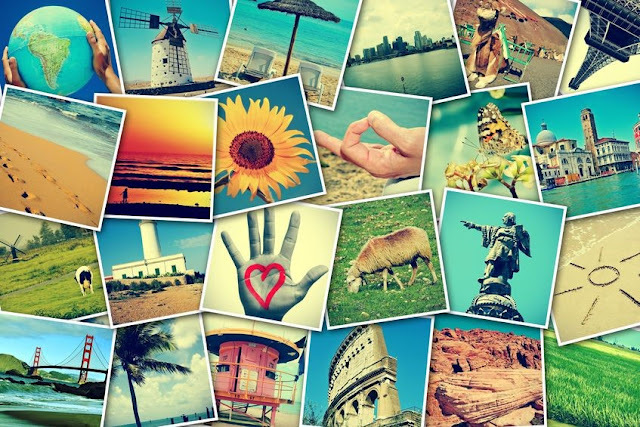 This analysis is a small guide to using Instagram as a marketing tool. After having carefully thought about the place that this medium will occupy in your global communication strategy, you must first create an account and document your profile. The process and ideas that follow should then allow you to become familiar with the application and operate this network. 1. Think about the visual identity, and choose the tone and style of the content to share. Determine the types of photos that will allow you to make positive connections to the community (virtual and local). Then check what's already said about your destination or business, and use that information to refine your strategy and target. 2. Establish an editorial calendar. As with any other initiative on Web 2.0, a content management plan is required. Make sure you post regularly and interact with your subscribers. 3. Shoot (or film) and broadcast diligently. Participate in content creation by sharing photos of your business or destination, focusing on photos that only your organization can offer. For example, a single scene taken behind the scenes of the activities, or an image revealing a scoop or event to come. With Instagram, the aesthetics and originality of the clichés are crucial if you want to capture the interest, distinguish yourself and maintain a committed subscriber community. Be selective when viewing photos rather than publishing each snapshot. 4. Define a hashtag or series of hashtags and focus on them. Create one or more hashtags that identify your business or destination. This is the best way to categorize your content and be easily identifiable on the platform. To encourage the taking and sharing of your brand's photos, promote them on your website as well as your Facebook and Twitter accounts. Subscribe to the accounts of those who publish relevant content for your visual identity. Finally, organize a contest. This is a common practice that will allow you to leverage crowdsourcing and build a community of subscribers. Themed competitions and quizzes are the most common form of marketing initiative on Instagram. No matter the sector in which you work, this formula adapts to all the sauces. 6. Multiply the opportunities online and offline. Use the photos produced through the app to enhance the visual content on your Facebook page or website. Take advantage of the mobile nature of the platform and integrate Instagram into your next event, to provide better visibility for the event and to offer new forms of engagement with participants. The #WhistlerUnfiltered campaign illustrates this synergistic approach, which consists of optimizing the combination of Web and mobile activities and more traditional methods in the field. To promote the hashtag, banners and promotional posters were placed on the resort site. The unfiltered.whistler.com website collects and organizes content shared by visitors. Thus, the destination wanted to let customers become its ambassadors and tell their visits by uncensored snapshots. 7. Use image influencers and organize photo tours. Like influential bloggers, "phonographers" with many Instagram followers form the new digital stars. This trend represents an important lever for destinations that want to increase their visibility. Like influential bloggers, "phonographers" with many followers forms the new digital stars. This trend represents an important lever for destinations that want to increase their visibility. The tourist office of Catalonia was the first organization to build on the reputation of an international team of "Instagramers", inviting them to participate in a promotional tour of the region. For example, a group of eleven famous "phonographers" with more than 500,000 subscribers traveled across the region to document their stay in their own way through #CatalunyaExperience. During the five-day tour, 300 photos were posted on Instagram, receiving more than 400,000 "likes" and 10,000 comments; 40 of them even rank among the most popular in the network. The initiative also resulted in an exhibition of 240 images from the trip. The constant experimentation will allow you to improve your presence on Instagram and discover the range of possibilities offered by the application. With a little creativity, you can go far with this medium that easily integrates with various forms of promotional activities. Of course, the results are rarely immediate, but the effort is worth it for any organization that wants to appeal to young adults, increase its visibility on mobile platforms or spread its brand through the growth of visual marketing to buy real Instagram followers.